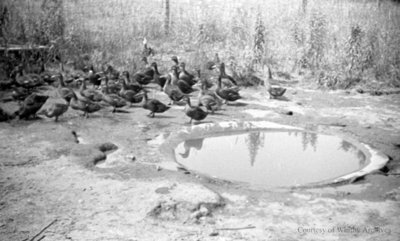 A black and white negative of ducks by a pond. Tall grass can be seen in the background. Ducks by a pond, July 1936, Marjorie Ruddy. Whitby Archives A2013_040_213B.